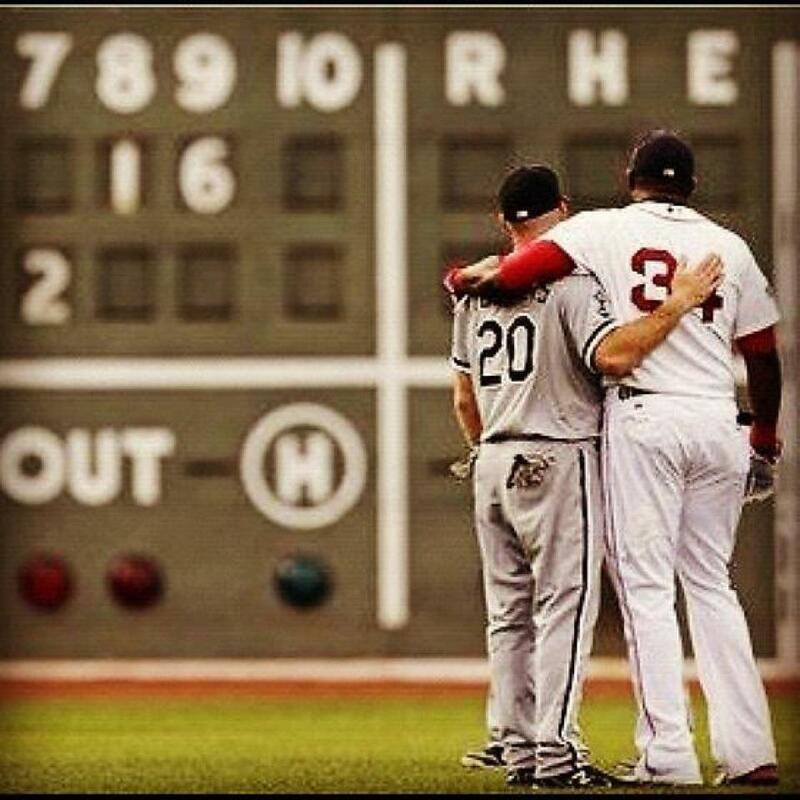 The last two remaining members of the 2004 Red Sox – Kevin Youkilis and David Ortiz. When Kevin Youkilis hit a three run homer at Fenway yesterday, I felt as if I had entered the twilight zone. The cheer of YOOOOUUUUUK echoing as he rounded the bases added some comfort to the fact that he had just hit what would turn out to be the game winning bomb for the Chicago White Sox. After being traded on June 24, Red Sox fans were left wondering where did it all go wrong ? Youkilis was the second last member of the 2004 Red Sox drought breaking outfit, every indication suggesting he would finish his career in Beantown. I don’t think it is fair that we look to place blame on either Youk or Bobby V for what happened, and while I wasn’t impressed with the decision to trade away the heart and soul of the last decade, I know deep down it was our only option. With Will Middlebrooks progressing at a much quicker rate than expected and Gonzo having settled at first after his move from the Padres at the beginning of last season, there was just nowhere left for Youkilis as the Sox looked to the future. With the issues of the pitching staff being well documented over the last few months, especially in the spectacular collapse of September 2011 (7-20 to miss the playoffs on the last day in case you had forgotten), the trade presented itself as a chance to pull together the defence in what had been a shaky season to date. Zach Stewart and Brent Lillibridge were the two pieces of the puzzle received in exchange for one of the most successful third baseman of the last decade, yet I believe that the action should not have stopped there. With Daisuke Matsuzaka struggling and Daniel Bard having been sent back to AAA, these would make two great bullpen acquisitions (with Bard having been bumped up from the bullpen into a “permanent” starting role before opening day). The pitching woes are another story for another day, so getting back to the matter at hand, there is no reason for Sox fans not to want every success for Youk with the White Sox and possibly beyond. All too often Boston fans are described as rude and abrupt, but the reception that has been given over the last few nights in Boston shows that providing you leave us on good terms (Youk style, not what Johnny Damon decided to do), then you are going to be welcomed back with open arms, especially when you were part of a group that made history. Sure Kevin cost us a game that may ultimately cost us a playoff spot, but that doesn’t really matter to me, simply because he’s one of the greatest people in baseball.